Due to the way we get this product from our provider, you would see 2 charges in your credit card. One is the Face Value Amount from MetroPCS; the other is the $3 Processing Fee from CallingMart. CallingMart Points are not applicable with this product. 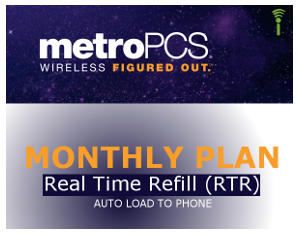 The MetroPCS logo and product images are registered trademarks of MetroPCS. CallingMart is in no way affiliated with MetroPCS or any other entity for which a logo or name may be present. CallingMart refers to these logos and or names solely for the purpose of demonstrating the products and or services that it resells.